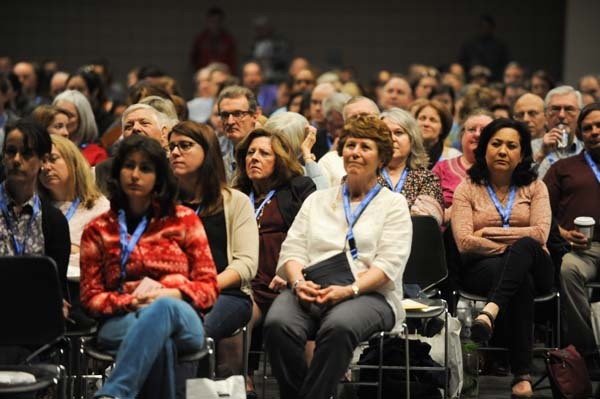 The Ignited By Truth Conference is one of the largest Catholic conferences on the East Coast with a general audience attendance of 1400-3000. 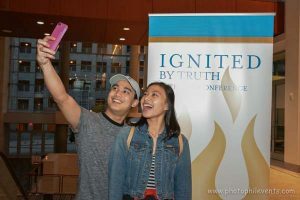 Since 2003, the Ignited By Truth Conference has brought nationally-known, dynamic Catholic speakers annually to the Diocese of Raleigh, North Carolina, to enlighten the minds of thousands of adults, young adults, high school, and middle school students. God’s graces have enkindled many hearts through the opportunities given for prayer and the sacraments. Catholic books and media have been purchased and taken away for further study and sharing. Ministry displays have inspired works of service. Ignited By Truth brings people together to experience the joy of life with God and sends them forth to be powerful witnesses to the Catholic Faith in their families and communities. Find out how others have become Ignited and why you should come to the Conference! More information on the need and purpose for Ignited By Truth can be found in the Ignited by Truth Rationale. Get ignited for your Faith!